UPDATED: Mon., April 16, 2018, 9:06 p.m.
It’s one of those college basketball games fans circle on the calendar, and now there’s an actual date to circle. Gonzaga’s first visit to Chapel Hill to face North Carolina will take place Saturday, Dec. 15, according to a UNC release. The Tar Heels will visit Gonzaga the following season. Both teams figure to be in the preseason top 10. Both teams have been as high as No. 5 in way-too-early top 25 polls released shortly after the national championship game earlier this month. Gonzaga (32-5 last season) loses Johnathan Williams and Silas Melson to graduation but top returners include Rui Hachimura, Killian Tillie, Josh Perkins, Zach Norvell Jr., Corey Kispert, Jacob Larsen and Jeremy Jones. San Jose State transfer forward Brandon Clarke, a first-team All-Mountain West Conference selection as a sophomore, will compete for a starting position. Incoming freshman Filip Petrusev is a top 60 recruit. North Carolina’s personnel picture is similar to Gonzaga’s. The Tar Heels (26-11) lose key seniors Theo Pinson and leading scorer Joel Berry II, who was the most outstanding player at the 2017 Final Four. 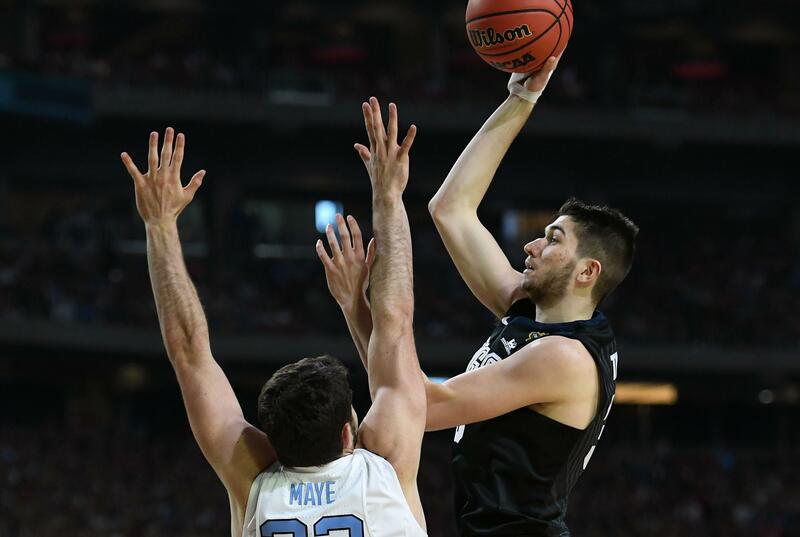 They return plenty of talent and experience, led by third-team All-American Luke Maye (16.9 points, 10.1 rebounds), Cameron Johnson (12.4 ppg) and Kenny Williams (11.4 ppg). UNC’s seventh-ranked recruiting class includes Nassir Little, MVP of the McDonald’s All-American game, and guard Coby White, No. 19 in ESPN.com’s top 100. This will mark the fourth meeting between the Zags and Tar Heels. The teams last squared off in the 2017 national championship game won by North Carolina 71-65 in Glendale, Arizona. Gonzaga upset No. 2-ranked North Carolina 82-74 at Madison Square Garden in the 2006 preseason NIT. The Tar Heels thumped GU 98-77 in Memphis in the 2009 Sweet 16 en route to winning the national title. GU coach Mark Few and UNC counterpart Roy Williams are longtime friends. They rank 1-2 in winning percentage among active coaches and they’re in the top six all time. Few is 535-118 (81.9 percent) while Williams is 842-227 (78.8). The Tar Heels will have plenty of preparation time before facing Gonzaga. They face UNC-Wilmington on Dec. 5 before the Zags visit. Gonzaga usually releases its schedule in the fall. Published: April 16, 2018, 6:45 p.m. Updated: April 16, 2018, 9:06 p.m.